Home / Unlabelled / WHAT YOU SHOULD KNOW ABOUT CALIFORNIA THE RICHEST STATE BY GDP IN THE WORLD. WHAT YOU SHOULD KNOW ABOUT CALIFORNIA THE RICHEST STATE BY GDP IN THE WORLD. 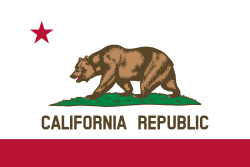 California recently took over UK as the fifth largest economy in the world. We take look at what makes California a state in USA so great and what other African states and Nigerian states can copy from it. 1 It is a U.S. state in the Pacific Region of the United States. With 39.5 million residents, California is the most populous state in the United States and the third largest by area. 2 Los Angeles is california's most populous city and the country’s second most populous after New York city. 3 The spoken are English 58.1%, Spanish 28.8%, Chinese 3.0%, Tagalog 2.2% while other languages contributes to the remaining 7.9%. 4 It's $2.8 trillion economy is larger than that of any other state. If it were a country, California would be the 5th largest economy in the world (larger than the UK or France), and the 36th most populous as of 2017. 5 The Greater Los Angeles Area and the San Francisco Bay Area are the nation's second- and third-largest urban economies ($1.2 trillion and $821 billion respectively as of 2016), after the New York City metropolitan area. 6 The Greater Los Angeles Area and the San Francisco Bay Area are the nation's second- and third-largest urban economies ($1.2 trillion and $821 billion respectively as of 2016), after the New York City metropolitan area. 7 It is considered the origin of the American film industry, the hippie counterculture, the Internet, and the personal computer, among others. 8 It is considered the origin of the American film industry, the hippie counterculture, the Internet, and the personal computer, among others. 9 Although it accounts for only 1.5% of the state's economy, California's agriculture industry has the highest output of any U.S. state. 10 California was first settled by various Native Californian tribes before being explored by a number of European expeditions during the 16th and 17th centuries. The Spanish Empire then claimed it as part of Alta California in their New Spain colony. 11 As of 2017, the gross state product (GSP) is about $2.75 trillion ($70,000 per capita), the largest in the United States. 12 California is responsible for 13.9 percent of the United States' approximate $18.1 trillion gross domestic product (GDP). As of 2015, California's nominal GDP is larger than all but 4 countries (the United States, China, Japan and Germany). 13 In terms of Purchasing Power Parity, it is larger than all but 10 countries (the United States, China, India, Japan, Germany, Russia, Brazil, France, the United Kingdom, and Indonesia). 14 The five largest sectors of employment in California are trade, transportation, and utilities; government; professional and business services; education and health services; and leisure and hospitality. 15 In output, the five largest sectors are financial services, followed by trade, transportation, and utilities; education and health services; government; and manufacturing. 16 As of September 2016, California has an unemployment rate of 5.5%. 17 California's economy is dependent on trade and international related commerce accounts for about one-quarter of the state's economy. 18 In 2008, California exported $144 billion worth of goods, up from $134 billion in 2007 and $127 billion in 2006. 19 Computers and electronic products are California's top export, accounting for 42 percent of all the state's exports in 2008. 20 Agriculture is an important sector in California's economy. Farming-related sales more than quadrupled over the past three decades, from $7.3 billion in 1974 to nearly $31 billion in 2004. 21 Agriculture is an important sector in California's economy. Farming-related sales more than quadrupled over the past three decades, from $7.3 billion in to nearly $31 billion in 2004. 22 The Agriculture sector accounts for two percent of the state's GDP and employs around three percent of its total workforce. 22 According to the USDA in 2011, the three largest California agricultural products by value were milk and cream, shelled almonds, and grapes. 23 California has a poverty rate of 23.5%, the highest of any state in the country. 24 California has a poverty rate of 23.5%, the highest of any state in the country. 25 In 2010, there were more than 663,000 millionaires in the state, more than any other state in the nation. In 2010, California residents were ranked first among the states with the best average credit score of 754. 26 State spending increased from $56 billion in 1998 to $127 billion in 2011. 27 California, with 12% of the United States population, has one-third of the nation's welfare recipients. 28 In January 2011 the California's total debt was at least $265 billion. On June 27, 2013, Governor Jerry Brown signed a balanced budget (no deficit) for the state, its first in decades; however the state's debt remains at $132 billion. 29 With the passage of Proposition 30 in 2012, California now levies a 13.3% maximum marginal income tax rate with ten tax brackets, ranging from 1% at the bottom tax bracket of $0 annual individual income to 13.3% for annual individual income over $1,000,000. 30 With the passage of Proposition 30 in 2012, California now levies a 13.3% maximum marginal income tax rate with ten tax brackets, ranging from 1% at the bottom tax bracket of $0 annual individual income to 13.3% for annual individual income over $1,000,000.